Like the Candyman Buzzz, these Limited Edition FUNraisers support the Memorial Championship presented by Discraft. 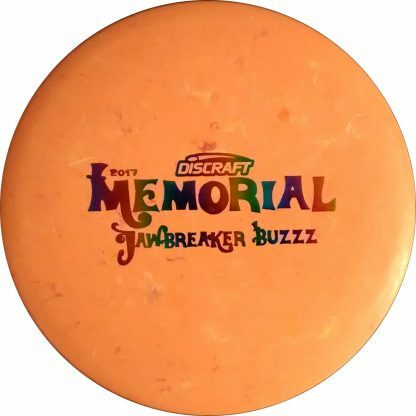 A great flying disc commemorating The Championship with the playful Jawbreaker font. Amazing feel and awesome color blends make these a must have. Jawbreaker plastic works in so nice, great grip but doesn’t beat up like tackier plastics normally do. 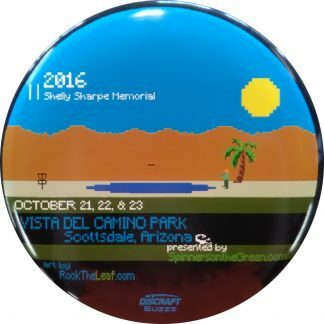 If you haven’t thrown one of these yet than what are you waiting for…THEY ARE ALMOST GONE!! 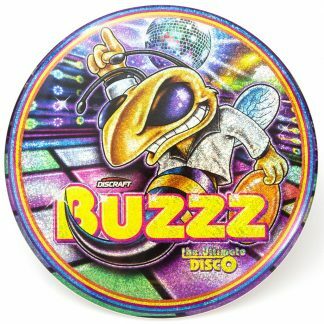 Excellent feel and awesome flights…this very well may be the best Buzzz ever! 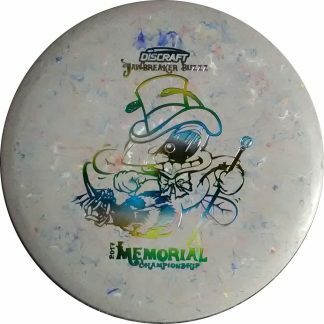 COLORS: Jawbreaker plastic has unique color blends & exact colors will vary from pictures shown. Stamp colors too will vary, you may request preferred stamp colors in the notes at checkout & we will do our best to accommodate.